The Italian calendar is loaded with holidays & Festivals. Find out how the Italians celebrate the different holidays that come during the year in our complete guide to holidays & festivals in Italy. The Italians love to celebrate. Today Italy is known to possess a unique culture of festivals and traditions that have evolved over the years. 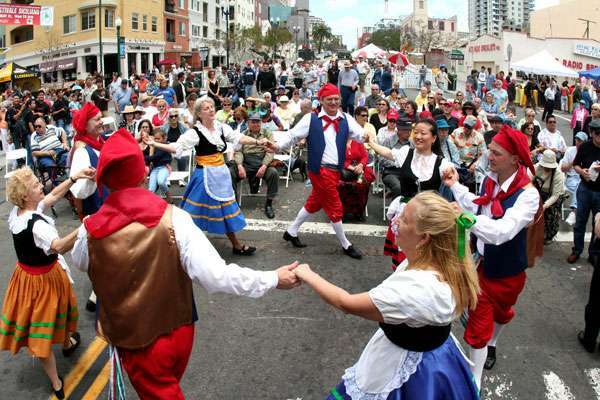 Many of the festivals that are held in the country today have bled into the Italian culture through different means. Many have originated in different cultures and there are others that are part of the most prevalent religion in the country; Christianity. The first holiday of the year falls on the very first day of the year which is celebrated as New Year’s Day. The Italians like to start off their new year with a bang and the day is filled with parades and different festivals to mark the beginning of a new year. Five days later is the Christianity based holiday known as the Epiphany which is celebrated all across the country. From the end of January till the end of February the Italians have a number of carnivals that are celebrated in different regions of the country. The Mardi Gras is amongst the most popular of these festivals which is celebrated in Venice in full flow. In Viareggio there is a parade on the water with floats and boats which is one of the most unique festivals of the country. The middle of March is known as the Holy week and is characterized by different religious processions. The week is usually ended by the Easter Sunday, the explosion of the Cart and Easter Monday. These are amongst the most colorful religious festivals celebrated in Italy. You will get to see lots of fireworks and a bonfire in a wooden cart during this time. The 21st of April is a secular holiday that marks the birth of one of the most prominent cities of Italy; Rome. Rome has a rich cultural heritage and immense historical importance which is brought to the forefront of the minds of the public during the festive celebrations of the day. Four days later is Liberation day which is also amongst the secular holidays of the country. This day marks the independence of Italy and it holds great importance in the lives of the Italians. The post French revolution era has seen the first of May being celebrated as Labor Day in many countries throughout the world. The summer time sees an array of different festivals that gives the Italian’s their rich cultural heritage. There is the Annual Cricket Festival, the Lemon Festival and the Corpus Domini which is the procession on a carpet of flowers during the month of May. This is followed up by the Anniversary of the Republic on the second of June. Later on in the month you have the boat races in Pisa and the outdoor opera in Verona. St. John the Baptist Day is a religious festival of utmost importance celebrated during the month of June. From operas to flower shows and film festivals to feasts Italy’s calendar is full of many different festivals all around the year. Each month has its own special dates and special ways to celebrate those days. You can rest assure that there is not one single month in Italy that goes by without some traditional celebrations.